I'm divorced. And while I haven't given up on love, I've taken a break, if that's at all possible. At least it feels that way. The fact of the matter is that I've spent too many years putting myself second, or third, and I lost my way. And a few years ago, I was finally able to admit that to myself, and myself only. It's a very important thing to think about: what makes you happy? Is it really something that only makes someone else happy? There is a difference. Music continues to challenge me to examine this difference. 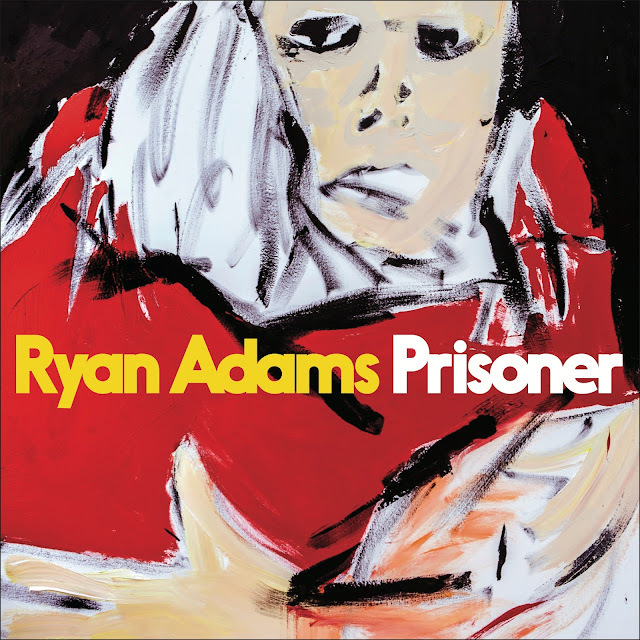 Prisoner, Ryan Adams' latest solo release, is being labeled as a "divorce album," because we know a tiny bit about Adams' personal life, and because of the songs he has written. But what moves and impresses me about this particular album is that it serves as a guide on how to grow, to forgive, to improve. I've always told anyone who will listen that "sad" or "introspective" music can play a pivotal role in healing, in identifying and fixing your faults. Because the despair, the struggle coming from the other end -- those are words of incredible strength. You can use them to your benefit. That's the way I choose to look at it. "These are the days you need double what it takes," Adams sings on "Shiver and Shake." "I miss you so much, I shiver and I shake." Later, he sings, "If I wait here any longer, I'll just fade away." It's this kind of honesty that lends a crucial latitude to oneself. The ability to say, "My love, we can do better than this," as Adams does on "Doomsday." The ability to say, "Sometimes a man don't know when he's gotta walk away," as Adams does on "Outbound Train." The ability to leave a haunted house. I left my own haunted house three years ago, and my life changed. No matter the cost involved, no matter the hoops to jump through, no matter the lawyers, real estate agents, moving trucks, pet security deposits, tears, frustration, depression, or anger involved, I decided it did not make sense for me to be forever living with my past. I would have died there. There were other ways to "move on," but this was my way. And I wanted my way for once. Was I alone, am I still? A haunting thing to ponder: even if you were once married, or in a loving relationship, were you alone? Are you still? Do you want to change? We all grow old, and some memories even fade. But stories remain. Ghosts remain. There is a faint sound of a person laughing at the end of "We Disappear." A little snippet of a time long ago. A reminder that such a person existed. A reminder that everyone is a prisoner: simultaneously connected to a time that has almost disappeared, and a future filled with hope.